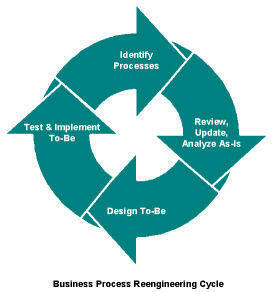 The term Business Process Management (BPM) has been buzzing around for quite a while. Is it solely about technology? Or is it more than that? 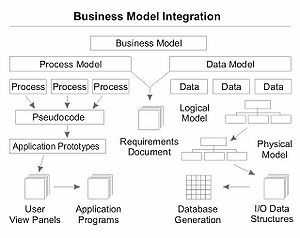 Yes, BPM is in vogue because the technology to model processes, simulate them, improve them, and maybe even improvise is available in a huge way. Market-driving ideas involve high risk. For every successful radical innovation in value proposition and value network, probably hundreds fail. An entrepreneur chasing a market-driving dream has limited downside financial risk as he generally invests enormous effort but limited capital. However, if the idea succeeds, then he has unlimited upside potential to make a vast personal fortune. No series on cloud computing would be complete without alluding to Google’s audacious attempt at building an OS around the cloud computing paradigm. Yes, I’m referring to the Google Chrome OS, a spin-off to the Google Chrome browser. The open source versions for the Chrome OS are the Chromium OS and the Chromium Browser respectively. The Google Chrome OS is targeted specifically to netbooks, not the primary device of use, but a secondary, portable, lightweight device. The OS is small enough to be loaded on a USB drive and booted from the very same device. Applications on local storage are few and far between and most useful, user applications are based in the cloud. The user interface is minimalist much like the Chrome Browser. Boot time is very quick with Google software engineer Martin Bligh demonstrating a bootup time of four seconds. A discussion on web services, SOA, BPM and Cloud Computing would be incomplete without a post on grid computing. In the first place, computing is about achieving a piece of work, what the work consists of is irrelevant for the definition. 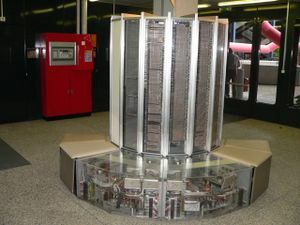 Grid computing is about achieving or completing a humongous piece of work which if given to a single computer would take an inordinately large amount of time and would also in all probability lock up the CPU cycles of the machine, leading to that notorious reaction ‘My computer froze”. For people who are maybe not technically minded but are aware of SETI@home (The Search For Extra Terrestrial Intelligence – this is a volunteer computing project that utilizes the unused CPU cycles of volunteer home and work PCs to analyze radio signals emanating from space for signs of some sort of intelligent life out there. This seeks to answer that philosophical question “Are we the only ones out here on Planet Earth? It cannot be – there must be someone out there in the vast reaches of the universe”. What this implies that each volunteer machine downloads a set of radio signal data, analyses it and sends the results back to the SETI project server. The SETI@home application is a screen-saver to be loaded onto the client machine. This is what in technical terms is known as CPU scavenging and volunteer computing. A series on cloud computing would not be complete without a post on virtualization. managed independent of host hardware. share a single, physical server. host to another without downtime. a collection of physical devices. The ability of a single hardware system to support multiple virtual machines thus optimizing the use of the hardware and thus providing more bang for the buck is the cornerstone of virtualization technology. Virtualization is about multi-tenancy i.e. the ability to have multiple applications residing on the same infrastructure. does not impact any other partition or the overall system. Virtualization is about intelligent sharing of computing, resources and storage. Virtualization is about being dynamic with your allocation of resources, computing and storage. It is juggling multiple balls or applications transparently without the complexities becoming evident to the user of the applications. Virtualization allows you to be flexible with your allocation of resources.It allows for failover, load-balancing, disaster recovery and real-time server maintenance. The complexity of virtualization needs a single interface from where this infrastructure can be managed. Virtualization lends itself to reduction in cost i.e. in the spending on hardware and at the same time an increase in productivity of the hardware installed. However, it is not a silver bullet and brings with it complexities that would have been avoided in a non-virtual infrastructure. The need to balance performance needs with maximizing workload is what virtualizing organizations grapple with. Virtualization strategy is the backbone of cloud computing solutions. Without virtualization, cloud computing would have a mountain to climb, with virtualization, its the case of going up a hill but appearing to come down a mountain! Share this post : Social! MSDN! Technet! Live! Blogmemes! Buddymark! Complore! Del.icio.us! Del.iri.ous! Digg! Facebook! Reddit! Technorati! Yahoo! What, in heaven, is cloud computing? If you think you already know what cloud computing is about, then this post is not for you. But you can choose to read on, if you like. The understanding of cloud computing can be as hazy as the term itself. 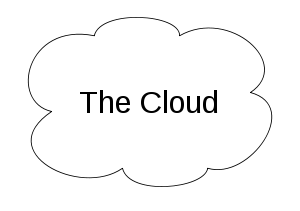 It seems as though there’s this cloud into which your input disappears and you receive your output , again, via the cloud or that is what all those diagrams depicting cloud computing seem to imply. The latter because in a multi-tenant cloud computing system, you are in effect sharing resources with other entities or enterprises , all transparent to you and to each other. Hey, what am I saying? Cloud computing is inherently multi-tenant , ask any blogger! But maybe we’re just referring to virtualization, eh? But I am getting ahead of myself here and let’s just start with the definition of cloud computing. Cloud computing is outsourcing your computing requirements on demand allowing agile response to ever changing business needs. and Infrastructure As A Service (IAAS). Wow, you might say, that’s just fine. You’ve simplified it further for me (sarcastically). Now I’m even more confused! Software As A Service is exactly that; it is a service that fulfils a certain application need , not locally but in the cloud. To give you an example, WebMail services such as Yahoo! Mail, GMail & Windows Live Mail are the simplest form of software as a service. Yes, webmail has been around for quite some time, you may say. But then its the definitions that are new, not the service itself. You may not remember the term ASP (Application Service Provider). Well , SAAS is just a new term for ASP. At your workplace, you may encounter CRM services such as SalesForce.com and Zoho CRM. These are examples of SAAS applications offered as cloud offerings. These are a boon to non-profit and SMEs to allow them to ramp up quickly without any major up-front capital expenditure. Another relevant example of SAAS is QuestionPro.com and SurveyMonkey. These are internet based market research tools for individuals and corporates. At the next level, is Platform As A Service, If you are a blogger and have your blogs hosted via a blogging service such as WordPress.com, then you are using a Platform As A Service. WordPress.com , in this case, is the platform provider for you to use the blogging service to create and post content. Cloud platform services or "Platform as a Service (PaaS)" deliver a computing platform and/or solution stack as a service.It facilitates deployment of applications without the cost and complexity of buying and managing the underlying hardware and software layers. Finally, there’s IAAS or Infrastructure As A Service. If you decide to host your own web-site or move your blog to a hosting service such as VSNL or Yahoo! Small Business, then you are accessing Infrastructure As A Service, You have access to the infrastructure provided by the hosting service provider and you can install your applications within the constraints of supported programming language, supported database and storage space provided. Of course, there are the other IAAS providers such as Amazon EC2 and Google App Engine, that you may be more familiar with , if you are technically minded. I chose to give you examples that we are familiar with in our use of the internet. Other not so well-known cloud offerings include Network As A Service (NAAS), Storage As A Service and Security As A Service though the third may be considered a subset of Software As A Service. When cloud computing is mentioned , the related words we hear are cost savings, the ability to provide for dynamic computing needs (via hybrid clouds and/or public clouds) and the efficiencies gained at being able to reallocate vital resources to more productive uses. 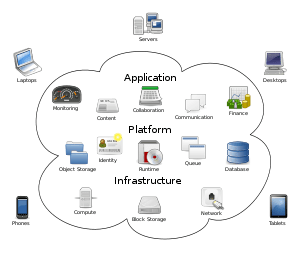 Cloud computing is also referred to as utility computing since resources in the cloud can now be turned on or off as dictated by our requirements. IT has become a commodity. So how elastic are its demand & supply curves? And I’m not being laconic! But besides big dollar savings for large firms, it is also about how small firms can gain a competitive edge by being able to focus on delivering value and not worry about large infrastructural investments; applications can be sourced from cloud computing providers – leased may be the term more familiar to cloud computing advocates. The option to bring these applications in-house to private or internal clouds resides with the enterprise depending upon how their funding and inferentially ramp-up progresses. The economics of cloud computing, for SMEs and non-profits, is very compelling indeed. That’s all for now! You can keep your head in the clouds! And don’t sport a clouded countenance! Just kidding! E-readers – schooling the future! Governor Schwarzenegger has announced plans for California high schools to start ditching textbooks in favor of digital media, starting with math and science books. The claim is that with so much information available in digital format, why waste precious little budget money on textbooks that just get outdated and tossed? Similarly Taiwan plans to roll out e-readers in classrooms this year. This is part of their efforts to further digitize schools and promote reading. E-readers are definitely cooler than reading PDF files on the laptop and/or computer. The reader is light-weight and easy to carry. In fact, it may not be just an e-reader. Some of the Sony mobile phones have e-reader software installed ; convergence makes for carrying fewer devices. With e-readers, you probably do not have bother about outdated curriculum. In addition, rolling them out to schools promotes volumes and some form of subsidies. And there’s always the green argument. E-books are so much greener than paper ones. More green gold! For the next generation, at least, books in paper form may just become an anachronism. But for me and others from my generation , until we are convinced that reading off a tiny screen is more convenient and not so much of a strain on our sensitive eyes , the switchover will have to wait. This is not that much of an argument against e-readers – most of us already access our email and the internet on our mobile phones. Also, there is the affordability issue. Books in India , especially ones printed by Indian publishers, cost a tiny fraction of what they cost in the developed world. Would we get the same kind of prices for the e-books? Would this make a case for discounted later editions of books? I have argued for this elsewhere; something like software versions available at discounted rates to existing users. And why not? It is about customer loyalty , after all. Though a more cynical reader may term it more of a lock-in. 🙂 And believe me , no-one likes that word or its connotations. Ha! What about libraries? How would they make the transition to a digitized world? Some libraries such as the British Council Library have decided to provide some of their collection of books as e-books to their patrons. Here are some articles and posts related to schools and e-readers. Updated for British Council Library. 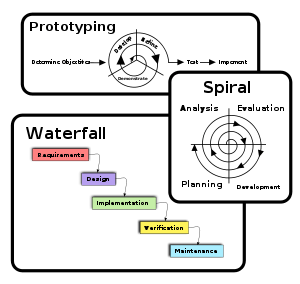 Is your architecture agile? Yes, it is, it can do sit-ups, bend-downs, push-ups and cartwheels. Is that agile enough for you? Oops, that sounds like its flexible! What does agility really mean, in this context? Agility implies meeting today’s requirements and being ready or able to take on tomorrow’s requirements i.e. being able to respond quickly to unexpected and/or unknown change. What are the components that make up an agile architecture? Flexibility is key to being agile. The ability to plug and play components as features can be classified as being part of an agile architecture. The ability to generically interface with components and features and extend the existing functionality is being flexible. The ability to extend the current functionality of the system either through plug and play features that cater to users who might want to use your system, in unanticipated and unforeseen ways and applications is definitely a must requirement for an agile architecture. 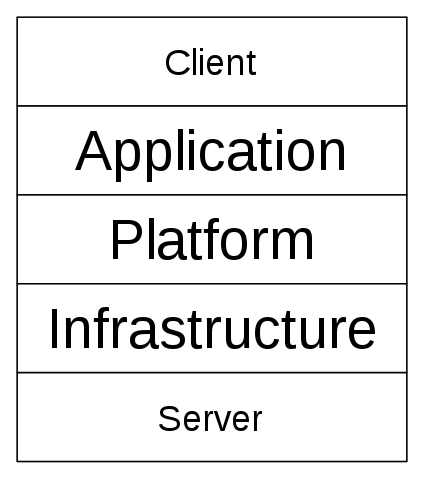 The Eclipse platform is built on such an architecture. The ability to not have to reinvent the wheel every time your customer comes up with new requirements and reuse existing components and/or code is at the core of reusability. Components , whether COTS components or custom-built to specifications have to be integrable. The ability to integrate and integrate quickly, is what can give a firm its competitive edge. Much as we would like to see the Big Bang theory at work i.e. at first there was nothing and there is this huge humongous piece of software that is the silver bullet that all software firms have been dreaming of, the truth is that the ability to break software into smaller pieces that both users and developers can wrap their intellect around makes for simpler development practices. It also allows for visibility into the progress of software development with users and customers having a chance to interact with the subset of product features developed. This also ensures continuous feedback and reduces the risk of the software being discarded as being unusable. This also makes for a reduced need for training on the system , with expert users coming from the user interaction team. In addition, for riskier projects, where new technology is being explored, this brings to the fore exploring of real options (ROV) where make or discard decisions are made at every stage of the development process. Also, EVA (Economic Value Added) can be distributed over components and stages thus providing financial numbers to the fiscally inclined namely the project sponsors. The ability to modify code or a system is usually confined to the implementation of the modules. The interfaces are changed less frequently (because of the high impact on testing especially integration testing) thus demanding rigor while defining them. But the modifiability of a system has a direct impact on its maintainability. This is especially important since most of IT spend i.e. 75-80% is towards maintenance of existing IT systems and just 20-25% is for new development. New development is where you create value for the enterprise.The ability of take byte-sized chunks out of maintenance costs will have the CFO kissing you rapturously, given you can demonstrate the value unlocked in cost savings. Anything that reduces TCO (Total Cost of Ownership) will get you a thumbs up from your CFO! The ability to reduce dependencies between different components or systems is what makes for a loosely coupled system or decoupled architecture. 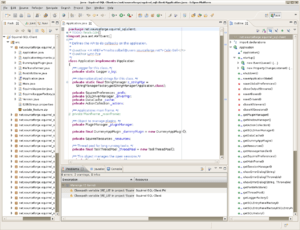 Decoupling is achieved by parameterization and/or configuration either through files or database parameters. Definition of generic interfaces is also another way of achieving decoupling. Asynchronous systems built using message based architectures and/or a simulated messaging system using database tables is also another standard way of decoupling your system architecture. This also contributes to reliability. Written in 2007, the introduction to a biz plan for a T-commerce solutions provider. Buy Interactive has a vision of bringing online retailing into the drawing room of millions of television viewers via its innovative use of technology. The goal is to integrate the converging technologies of media, the internet, the wireless and retailing to facilitate the extension of e-commerce to t-commerce & m-commerce. The objective of this business plan is to outline a strategy for an interactive solutions software company to target the emerging market for interactive television with a specific focus on interactive shopping as the application of technology with the existing Internet infrastructure as the communication backbone. The convergence of media, the Internet and online retailing is the hub of this identified niche in the content management software industry. Further aspects to be explored are an extension of online advertising and promotions to this targeted market segment. The company, Buy Interactive, is a software products company with a focus on developing solutions for interactive/IP television. The crux of the software solutions are the set-top box, the software stack on the box and a broadband internet connection. Current applications of interactive/IP television are mostly sports-casting, picture-in-picture, video -on-demand, email, interactive games, & information portals; these have limited interactivity. Buy Interactive intends to focus on leveraging existing online retailers and their offerings to bring them to your fingertips. The service offered by Buy Interactive is a unique shopping experience for the couch potato; the not-so-internet-savvy user, the one who is more comfortable with traditional media such as the television & video. No more time-wasting spent on the internet searching for deals; the best deals are brought to you to your finger-tips for use via the ‘power-pad’. The business model also provides for advertising revenue to be collected by the cable & telephone networks based on the pay-per-click, pay-per-lead and pay-per-sale. The scope of this project proposal is to be limited to the geographic area of Cyprus with potential users CYTA and PrimeTel. The software will be provided as private label allowing the licensors to customize the look and feel of the software and use a consistent interface. Branding can be a combination of the online retailer and/or the operator. CYTA MiVision market share among residential broadband users was about 10% when it was first introduced in July 2004. PrimeTel and its competing TriplePlay [includes ADSL 2+] service is currently aiming for a market share of 10-15% of IPTV subscribers. CYTA MiVision currently has 23,000 subscribers to IPTV with growth in subscriptions ranging from 500 to 1000 subscribers per month. PrimeTel, on the other hand, have new customers at the rate of 2000 per month. CYTA MiVision plan to introduce 2 new services soon, namely nPVR and Time-Shift TV. CYTA MiVision’s contract with Amino for STB’s specifies that orders (unit contract price) are placed for STBs based on demand, as the need arises. The price for each STB to the customer is 50 CYP , a one-off price. PrimeTel’s suppliers are Kreatel Communications, a recent acquisition by Motorola. STBs are currently being offered free by Prime Tel to new customers, mirroring a trend in most IPTV providers, to subsidize the STB in anticipation of selling value-added services and recovering the initial cost from the service revenues. Both Amino and Kreatel Communications STB devices both run on the LINUX operating system. Broadband usage in Cyprus at the end of the first quarter of year 2006 was 12.1% from 4.1% in 2005. 46% of households have internet access from home. Internet, mail order & telephone sales for the first half of 2007 show a jump in spending from £8.83 million for the whole of 2006 to £25.4 million. This subscriber base has experienced increasing growth over the past 3 years, from 2004 to 2006, and the potential to convert these to IPTV customers increases as the broadband subscriber base increases. The other way to drive growth is to use the IPTV offerings to get television viewers (99% of the Cypriot population own a television) to switch over with a less intimidating offering, especially for non-computer owners (almost 50% of the population). Once a tipping point for this service is reached, growth will be exponential. Signs of this happening in the broadband market are evident. Extrapolating to IPTV and from there to Buy Interactive’s products is how we predict growth for our products. IPTV, in India, is currently offered by MTNL in Mumbai and BSNL in Pune, Kolkata and Bangalore.Other companies with plans to rollout IPTV Triple Play offerings in the near future include Reliance InfoComm and Bharti Airtel. MTNL were the first to launch IPTV in India, namely in Mumbai and New Delhi in October 2006. Subscribers now number less than 1,000 for MTNL, but the company is hoping for a high conversion rate as broadband connections grow to a target of 500,000 each in Mumbai and Delhi.Currently, MTNL has 225,000 broadband lines out of a total of 4.5 million fixed line subscribers in the two cities. To enable transport of high-density video content, MTNL is using compression technologies that can zip as much as 3 megabits per second. Currently, a subscriber has to pay a lifetime payment of Rs 3,500 (approximately 87 USD) [Prices have dropped to Rs. 1000 approx. 25 USD for current new subscribers] for a set-top box, and a monthly rental of 120 rupees for 52 channels in Delhi. As volumes grow, it is expected that STBs will be made available free of cost. The service of course is dependent on the customer already being a broadband internet subscriber with MTNL. Bundling of services such as Internet connection and IPTV are not offered as yet. MTNL has increased the accessibility of IPTV in a 3 km radius from each telephone exchange, from the initial 800 metres each, and plans to start rolling out fibre optic cables that will reach 20 km from the nearest exchange. MTNL has invested $120 per subscriber to enable the IPTV service, and is betting on instant interactivity to view desired programmes and convenience of viewing to be the distinguishing features. BSNL, the other large public communications company with most of its subscribers in the Tier II cities & towns, envisaged a “quantum jump” in broadband penetration by issuing around five million new connections over the next few months. 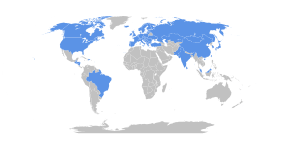 These would include an estimated three million broadband connections across 1,000 cities and another two million connections in the rural segments. Currently, 1.15 million subscribers used BSNL’s DataOne, a 40 per cent share of the broadband segment of 2.5 million subscribers. [As of April 2007 India had 2.43 million broadband subscribers, by April 2008 it is expected to rise to 4.21 million. India has around 65 million cable and satellite homes. If even 10 per cent take IPTV then 6.5 million IPTV subscriber base is not a small one].This is projected to grow to 20 million by 2010 according to TRAI. PricewaterhouseCoopers, on the other hand, says that while the number of TV households in India is expected to grow to 130 million by 2012, DTH will account for less than a tenth of this number and IPTV less than a hundredth. Bharat Sanchar Nigam Ltd (BSNL) is conducting a feasibility study to launch broadband multiplay service, including voice, video and Internet protocol television (IPTV). The service, to be offered in 789 cities across the country, would be available at an eight megabites per second (MBPS) speed connectivity, instead of 2MBPS. Cable operators such as Hathway are expected to enter this market as well. Current efforts to digitize their network and then move into the IPTV space with Triple Play offerings. Further competition to Telco IPTV providers are expected from Tata Sky and Dish TV, two DTH players currently consolidating market share. Reliance Communications & Microsoft have signed a 8 year contract to supply IPTV services. The world’s biggest software maker is expected to earn $500 million, or Rs1,965 crore, based on a revenue-sharing formula in the contract as part of license fees for its software. Reliance Communications will use Microsoft’s MediaRoom IPTV platform, a deployment that Microsoft has valued at about $500 million. The carrier appears poised to invest as much as $1 billion on its IPTV project. Over 50% of India’s telephony infrastructure can support IPTV ,which for a developing country is very impressive. 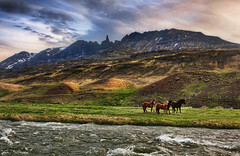 Global IPTV revenue is expected to touch $17 billion by 2010. Smooth billing of services is crucial to ensure consumer satisfaction. The bundling of telephony, internet access and television channels makes it necessary to provide a single billing facility to the users. Software that provides this as well as integration of discount schemes is key to making sure that transition is smooth and hassle-free. At IBE 2007, held in Mumbai between 25 and 27 October, it was predicted that there will be one million IPTV subscribers in India by 2011. Besides the use of telephone and cable networks, Reliance Communications Ltd. , Bharti Airtel and BSNL are experimenting with WiMax wireless technologies to deliver IPTV services to consumers via their existing wireless networks. Government regulations have been eased to facilitate increased bandwidth; this coupled with better compression techniques, that already deliver content to mobile phones, should enable IPTV services via wireless networks for the Indian consumer. The consumer is thus faced with a multitude of choices from which a bouquet of services may be chosen. Thus, a congruence of choices implies convergent services for the end-user. The regulatory body TRAI is struggling to come to terms with the different vying technologies that can provide these bouquet of services; a rapid overhaul of the existing laws & regulations is called for. The biggest fear of content firms when it comes to archiving of their programmes, is piracy and proper revenue-sharing. It is essential that the operator, whether it is the cable-industry or the telecom operator, shares the correct figures about the number of people who watch it and gives the right share of revenue to them. Else the question remains as to why should the content firm should provide its programming to be played as re-runs. Competitive positioning strategy is to position Buy Interactive as being a total customer solutions (TCS) provider to IPTV providers; the initial focus is to be the best available product and move towards offering customized solutions, consultancy, training and maintenance services to our customers. The strategy model is based on the Delta framework with specific reference to using technology to provide a competitive advantage. System Lock In(SLI) would be an ideal situation; however, we envisage regulatory and customer resistance/customer sophistication as hurdles to any move in that direction. Key to capturing value via our revenue model is the achievement of critical mass in our complementors markets; we hope to ride the network effects of high market share achieved by our partners/customers. Our aim is customer’s mind-share. The business is to provide a complete suite of software services packaged to allow the cable & DSL providers, primarily to enable t-commerce and secondarily the ability to create advertising content tailored by demographics, location & program content. The interactive/IPTV providers are the customers for the packaged products with Buy Interactive providing installation, consultation, customization and maintenance services, thus providing a Total Customer Solution. Our mission is to provide state-of-the-art interactive software solutions for the IPTV platform, to provide our customers a competitive edge by the right use of technology to meet their business needs and serve their customers better. Our core targeted customers are to be the IPTV providers, who would use our products to track & report advertising views, lead statistics, and conversion to sales of advertised products. We also envisage a market for content creation software that would be used by content programming companies, that can synchronize advertised products with the programming content. Direct selling channels/home shopping networks such as QVC, HSN (QVC & HSN already have interactive TV shopping applications) and Shop@Home TV is another customer avenue to be explored. The business model rests on the ability to form strong strategic alliances with online e-tailers to enable their offerings for IPTV. The ability to get strong branded e-tailers to buy in early is critical to the success of the business. The other option is to build a strong local conglomerate of e-tailers and converge their services and products via our software service. This would however require an additional investment in time, capital and training. Delivery of our products would be done by a team of software professionals, that include system administrator, an account manager and a software developer for trouble-shooting issues. Customization of requirements would have to be signed off by the customer and the account manager, after feasibility studies in consultancy with product managers and software architects is completed. Schedules & time-tables for different mile-stones of product delivery are to be agreed on with the customer. Provisions for staging the software and pilot deployments are other important aspects that will have to be considered. All these costs are to be borne by the customer with clauses inserted enabling the customer to pull out if necessary at any stage. Clauses to compensate for new requirements , either overlooked , inadvertent or caused by new regulations will be part & parcel of the contracts. These agreements would be drafted in consultation with our retained lawyers; special provisions to protect our intellectual property (IP) would also be factored in. The Enabler is the core product offered by Buy Interactive. The Enabler brings the online retailer to your television set leveraging the use of web-services, HTTP/HTTPS, SSL and the STB stack of software services to provide a much more user-friendly experience for the television viewer. The Enabler has 2 components, the Controller hosted at the operator’s central site and the on-the-fly Intelligent Renderer of the streamed/pulled deals available currently at the online retailer selected. The currently watched television show’s content descriptor tags are scanned for relevant key-words and matched against a local data-base of products and categories. These are then used to pull deals from the online retailer via their provided Web-service APIs and these can be rendered as the user wishes either in a full-screen window or a smaller picture-in-picture (PIP) window. The initial version would leverage the embedded browser components and create HTML pages on the fly to be viewed in the STB browser for speed-to-market. A further development would be a customized viewer with much more interactivity and better graphics; this could be a driver for customer lock-in by the use of a richer user interface. The Analyzer/Tracker tracks the user clicks per displayed product/advertisement, the no. of views, and conversion to actual sales. This data is used by the operator to bill the e-tailer using a weighted formula based on click count, time spent on related views and translated sales. A percentage of this revenue would be royalty fees accruing to Buy Interactive. The Distributor component deals with the distribution of advertising and programming related content to the STBs. Premeditated content such as graphics, video & audio can be distributed to the STBs to be scheduled to play along with scheduled programs, ads & events. The pull process is then limited to the prices and deals being offered for the products. The distributing process is transparent to the television viewer; content can be cached at servers located closer to the area to reduce network latency similar to the process used for Video-On-Demand (VOD). This meta-data is to be rendered by the Intelligent Renderer and synced along with the program & ad content. The Service Updater component updates the software stack of services on the STB. The Service Updater component seeks to ensure that the STB is autonomic, I.e. It is self-diagnosing and can fix itself except in the most rare circumstances. The STB can communicate with the Updater service and intimate it as to the current status of the STB, it’s content as well as the playout of content, if necessary. The Service Update STB component can check for updates if available and download them to be applied either immediately or at a programmed time or on shutdown or start-up. Care is taken to ensure minimal disruption of the viewer’s schedule. The STB services platform will include a shopping cart functionality that is owned by the service operator. This can be configured to override the e- tailer’s shopping cart or used for the operator’s promoted products such as telephone & cable equipment to be purchased. The Billing System provides the television viewer statements of their online purchasing activity sent out to them either by mail or e-mail. It also has B2B functionality to bill the e-tailer for service provided. All this is enabled via a server side billing system that is scalable to meet the growing subscriber base. This would integrate seamlessly with the Subscriber Management System to provide a complete customer management system. The Subscriber Management System would integrate with the operator’s existing customer database and would add additional tables to provide for additional customer specific data needed for the SMS & BS to function. For small merchants and local retailers, the SME E-commerce server provides a service where they can hawk their goods and services. This will be provided to local businesses as a SAAS application that can be accessed via their own customer accounts, so that they can upload details of their goods and service including pricing, special discounts, promotions and sales. The E- commerce server is an Open Source based application server, that will have a stack of web-services provided on top of the existing application to enable these to be pulled to the STB to be rendered. An instance of this Application Server will also serve as a proof-of-concept to be shown to prospective clients. The total suite of offerings would be incomplete without being able to facilitate data- warehousing to enable managerial decisions for the operator. The initial implementation would use an off-the-shelf implementation with data warehousing specialists and business analysts to work together to identify the various data-marts & dimensions to be stored in the data-warehousing system. This differs from the data-warehousing solutions currently implemented & used by both the e-tailer & the service operator. The Content Creator software allows the user to create tailored content using graphics, audio, video and animation to produce MPEG2 and MPEG4 content. The Content Editor allows the user to edit existing content mostly to create or edit additional tags to describe the content and add relevant key words and date information. The E-Auction server is an application server that incorporates all the features of an e-commerce server plus the ability to store various bids and dynamic pricing of goods and services. This feature will be an enhancement of the SME e-commerce server and will include features that enable tracking bids , closures. Merchants will also have the facility to upload their product offerings and latest deals.